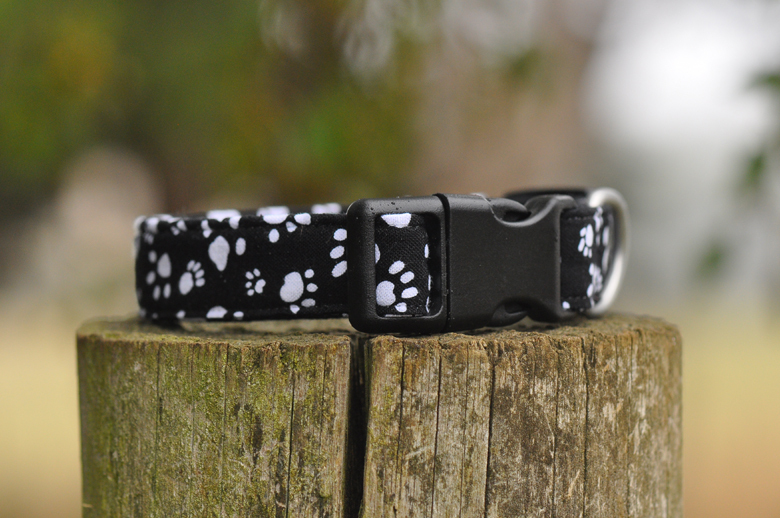 Stylish white paws on a black background with black buckle and matching black slider. Small, fits neck 20-30cm approx. Collar width 20mm. Sm/Med, fits neck 25-35cm approx. Collar width 20mm. Large, fits neck 40-55cm approx. Collar width 25mm.